A checklist of komono (miscellaneous) items that are easy to declutter. Declutter the easy stuff first! The KonMari method of decluttering is effective, yet exhausting! As part of the KonMari method, you're tasked with decluttering komono (miscellaneous) items. 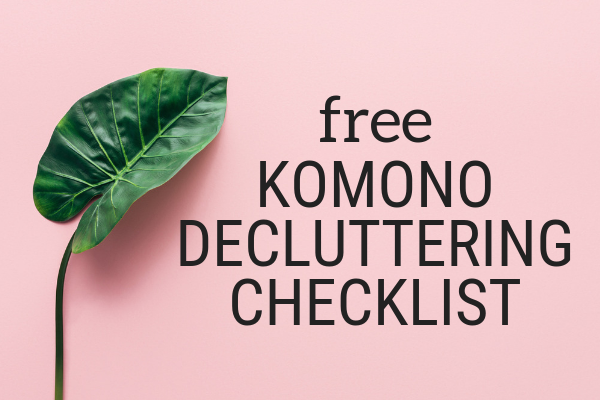 This free checklist is filled with easy ideas to help you get rid of some of the komono items you might have started to blend into the background of your living space. 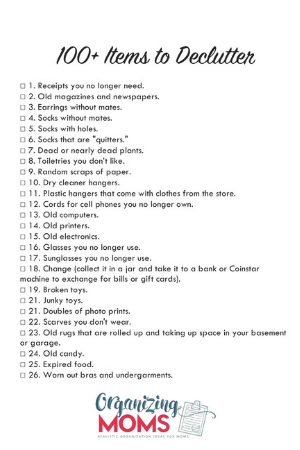 Give yourself a few quick wins while building your decluttering skills with this simple checklist of decluttering ideas. 100+ Items to Declutter Right Now!